The quiet trail. The crunch of rubber wheel on scree. Dirt on your face. 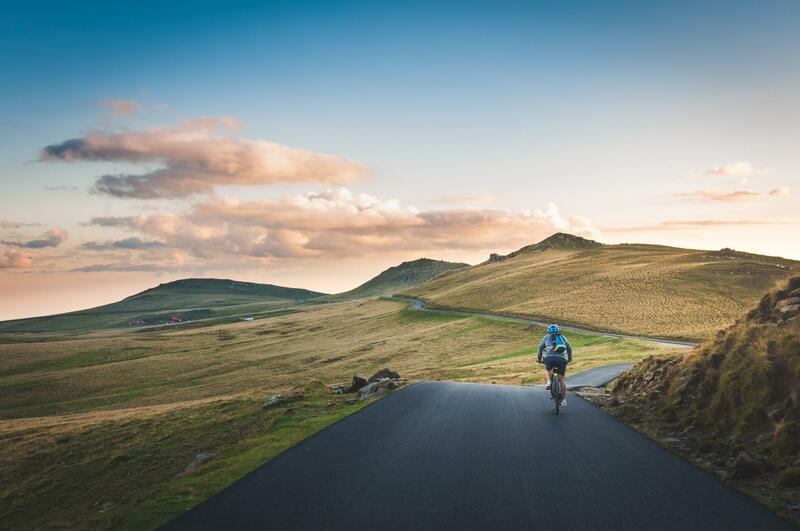 Mountain biking is an incredible, adrenaline-filled way to explore on two wheels, and once you’re hooked the next step is buying your own beauty of a bicycle to get outdoors on. My guide to five favourite female-specific mountain bikes for (almost) every budget should help you pick your perfect ride. Before you spend your hard-earned dosh on something with suspension, have a good think about what you really need and what you can afford. Where, and how often, will you ride it? And what skill level do you have or want to reach? It’s worth researching options online and keeping an eye out for sale prices so you’ve got a good idea of which women’s bikes are on the market. But to save you pain and time, I’ve picked my favourite new bikes for budgets ranging from £340 to £1,699, and included a mention of what you might expect from each price point. 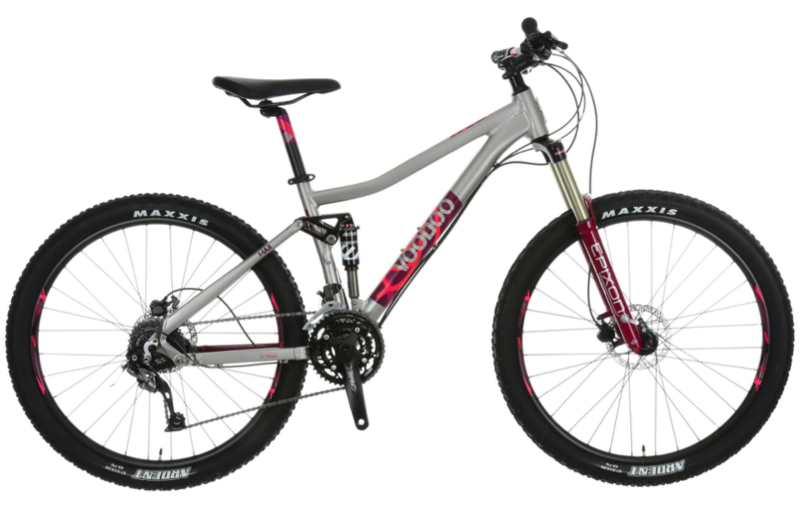 Excellent entry-level hardtail offering great value for money – ideal for the commuter or casual rider. 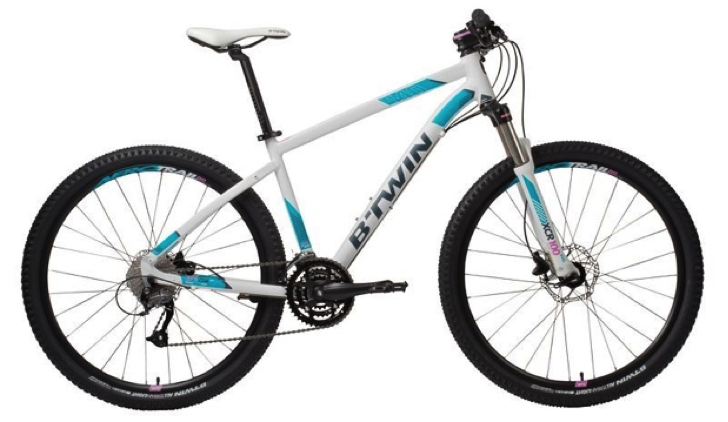 B’Twin’s Rockrider 540 from Decathlon is the first of my selections of women’s bikes, weighing in at a price of just £340. This 650b hardtail MTB is built upon a durable alloy frame and comes in a variety of sizes, with the medium size weighing just 13.6kg. The main standout for the Rockrider, though, is the Suntour XCR 100 forks offering a robust front suspension system and a much more comfortable ride over rockier terrain. The much-improved seat post provides improved flexibility and enhanced support to prevent strain on the lower back and hips on more intense trails. Price point: This category is primarily for casual riders or novices that generally have simple needs and uses for a bike. For something steady, reliable and great for off-road routes; the B’Twin Rockrider 540 is a great choice. Superb entry-level full-suspension with a spec that completely blows other full-suspension out of the water at this price point (and even higher price points too). Price Point: This price point is more suitable for riders looking for a mid-range entry level mountain bike to progress on. For something a little more advanced, robust, and introductory to both cross country trails and full-suspension MTBs; the Voodoo Maji is the perfect option. One of Whyte’s many impressive hardtails comes at a great price point with an unbeatable geometry that gives a memorable riding experience. 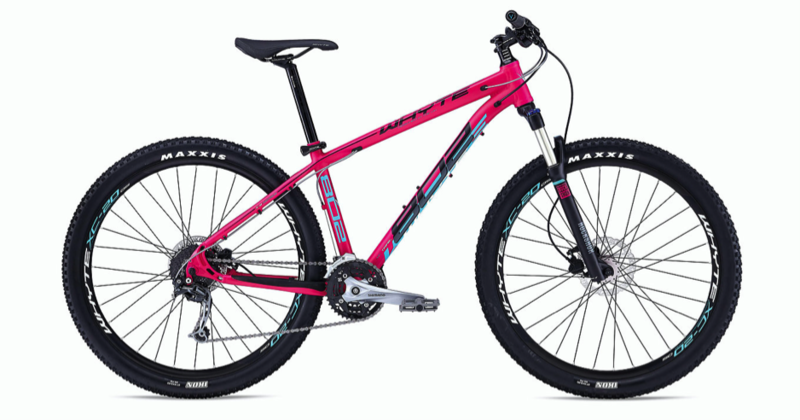 Whyte’s range of women’s bikes represent incredible value for money in the game of quality vs. price. 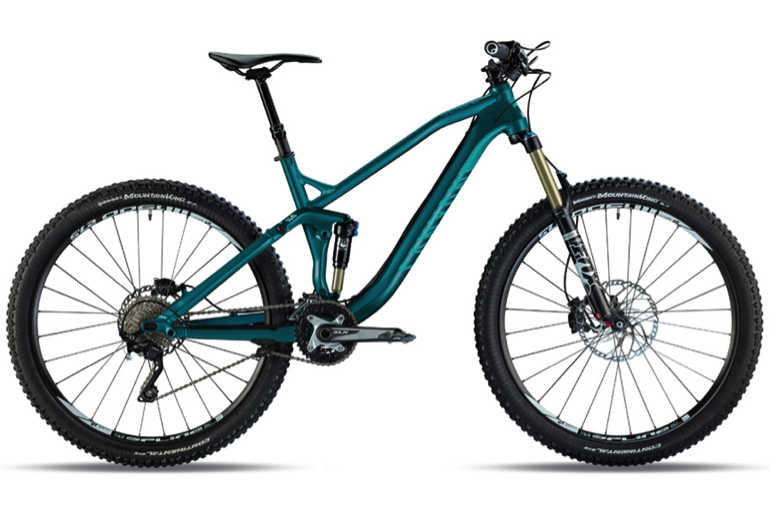 Rocking in at just on the border of this price range, the Whyte 802 Compact has been lauded by many as the perfect sub-£1000 hardtail available, while earlier models have also enjoyed their fair share of compliments. The 2016 model carries an enormous amount of value with a superb build spec and intelligent engineering from Whyte’s development team. Weighing in at just 13kg and with XS frames available, it’s easy to see why it’s called ‘Compact’ but that doesn’t mean the shorter geometry affects comfort. It just means that it’s accessible for riders with shorter proportions and lightweight enough to ensure you pick up some serious speed while whizzing down trails or roads. Price point: The £1000 or less category is more suited to intermediate riders with experience of tackling trails in the past and a good idea of what they’re looking for. For something lightweight and comfortable to ride, with a great spec; it’s hard to see past the Whyte 802. Yep, it’s another Whyte model in the list, but this beauty simply cannot be ignored. Equipped with a shorter stem, the geometry of this bike has been re-imagined with a 760mm wide bar that offers riders the perfect position and maneuverability – which is maximised by the impressively lightweight 12.2kg frame. The build spec is incredible for the price too, including an array of SRAM components forming the brake and gear systems. In addition to this, the presence of RockShox Sektor Gold forks with 130mm travel and lockout only serves to complement its unique geometry and ensures that the Whyte 901 is a thoroughly enjoyable ride. Price point: At £1500 or less, the range of bikes at this level are built to satisfy more specific requirements. More suited to intermediate/experienced riders who spend a considerable amount of time out on trails; the Whyte 901 is the absolute cream of the crop. The second full-suspension women’s mountain bike on my list, Canyon’s Spectral AL 6.0 is definitely a case of saving the best until last. Your immediate thoughts of this full-suspension bike may be that it’s rather expensive, wait until you hear the specs. Since Canyon’s range of bikes are only available when bought directly from the manufacturer, so buyers get more bang for their buck in terms of build quality and components. So, where to start? Well firstly, the entire bike is built upon a 13.1kg aluminium Spectral frame that gives 140mm travel owing to the flexibility of the Fox Performance Float Elite rear shock. Coupled this with the Fox Performance 34 Float forks (also offering 140mm worth of travel) and the RockShox Reverb Stealth seat post, and the Canyon Spectral AL 6.0 seems poised to offer riders an amazing ride up or downhill. The drivetrain and gearing, which is made up of primarily Shimano SLX components, provides a seamless interchange between gears and more power in tough terrains. Price point Any bikes around this price range or above are far more suited to experienced/professional riders who know exactly what they’re looking for and plan to ride weekly on something which will always deliver great specs when they’re hitting the trails.